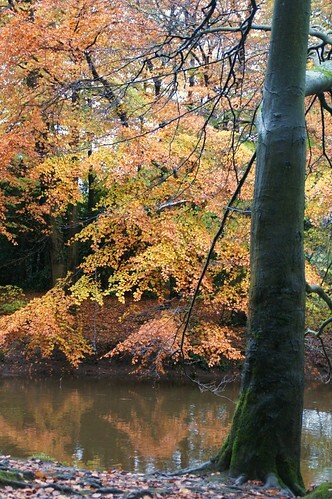 Autumn walk, a photo by PhylB on Flickr. I see the trees are starting to turn red and yellow. I've learnt about this at nursery. It is called turning 'awesome'!